For the most of us, tech conferences can be incredibly rewarding yet draining at the same time. It usually involves multitasking between participating in the various conference segments and networking. Especially if you are new to this scene, you may find yourself at a loss on how to extract the full value of the event during the limited amount of time you have. 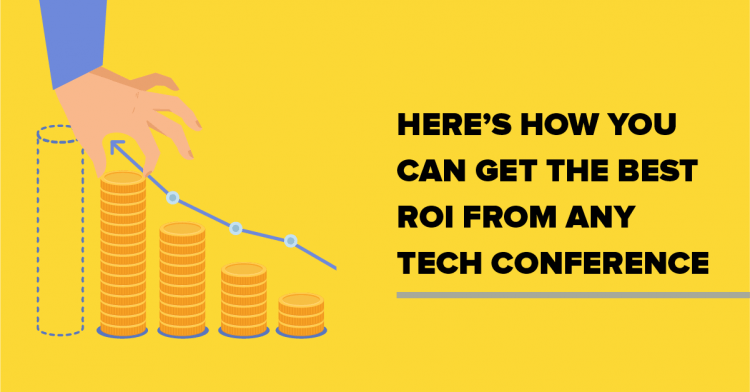 To help you with that, here’s a quick list of suggestions on how you can get the most ROI from a tech conference, using the upcoming Tech in Asia Jakarta 2017 conference as an example. Whether or not you are participating in one of Jakarta’s largest tech conference this November 1 & 2, you can apply the following approach to any future tech events you attend. Let’s begin! Want to learn about the newest trends in marketing and branding but can’t skip the investor stage for potential insights? Want to visit the exhibiting startups at Bootstrap Alley but you’re caught up in a conversation with an investor at Speed Dating? With everything happening concurrently, you’ll be spreading yourself too thin to take full advantage of all the conference offerings if you’re there alone. A simple solution is to bring your team mates along! By assigning specific sessions to attend and roles to take on, this will allow for more learning and networking to happen. For instance, your salesperson could look for new leads at Bootstrap Alley, your colleague from marketing can pick up actionable skills and knowledge at the expert stages, all while your CEO pitches to investors at Speed Dating. You get the drift. For Tech in Asia Jakarta, the Group of 3 tickets was introduced with the savvy conference goer in mind.With this, your team will be able to squeeze the most value out of the event – at a discount no less! So don’t leave home base without the gang, make it a startup field trip and bring the troops to maximize your conference ROI! Conferences are usually attended by a diverse mix of founders, developers, marketing professionals, and investors. Rather than betting on bumping into your prospect in the sea of people, you can amplify your networking opportunities by securing your meetings with them before you even step foot on the conference floors. As an attendee, you have exclusive access to the TIA conference app. Download it before the event and capitalize on the attendee search function to shortlist people you’d like to meet. You can even use the in-app chat tool to converse with them in real time. Impressions form within 10 seconds of meeting another person. Learning what to say, how to say it, and when to say it is critical in getting your message across to them effectively. 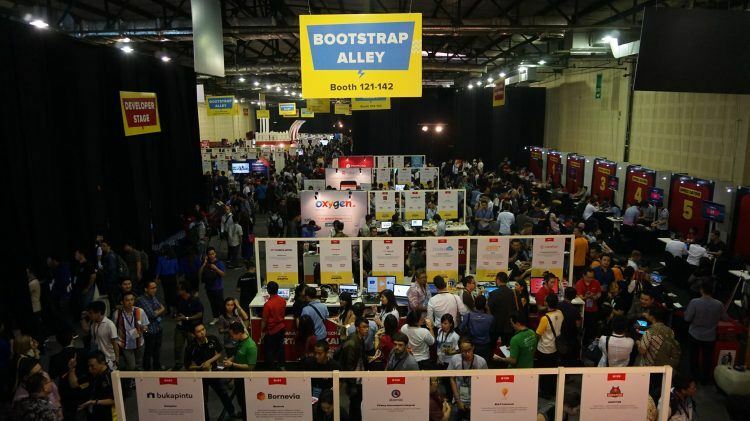 Most especially at the Bootstrap Alley startup exhibition, expect to mingle and rub shoulders with an expansive and diverse set of people – potential customers and investors included. Practicing and sharpening your pitch before stepping onto the court is one of the few things that can help bring your ideas to life and leave a lasting first impression. If you’re planning on joining the Startup-Investor Speed Dating event, all the more important it is that you do your homework and prepare your pitch beforehand. Check out this great article filled with helpful pointers from the investors themselves! Once the conference wraps up, the sun goes down, and the business mood turns casual, you’ll know it’s time to head for the post conference networking party. Tech in Asia’s – termed Night Crawl – is the perfect setting to let your hair down, loosen up those cuffs, and get those social engines going. Grab a drink, wear your best smile and you’ll be surprised to come home with more than just business cards and stories. Afterall, we know by now that not all deals are formed at formal networking sessions. Not a big fan of small talk? Don’t worry, here are some tips to help you break through those awkward silences. With over 6,000 expected attendees, 7 content-laden stages prepared, and many other networking and learning opportunities to engage in, this year’s Tech in Asia Jakarta conference is without a doubt one of the largest of the year. Do you have other tips to maximize one’s conference experience? Share them in the comments below. Also for an ultra-pro tip: if you haven’t secured your tickets yet, a 20 percent discount is extended till this Friday, September 1, 2359hrs (GMT +7). Grab them with the code ‘tiajkt20’, or you’ll have to pay more when prices increase the day after!